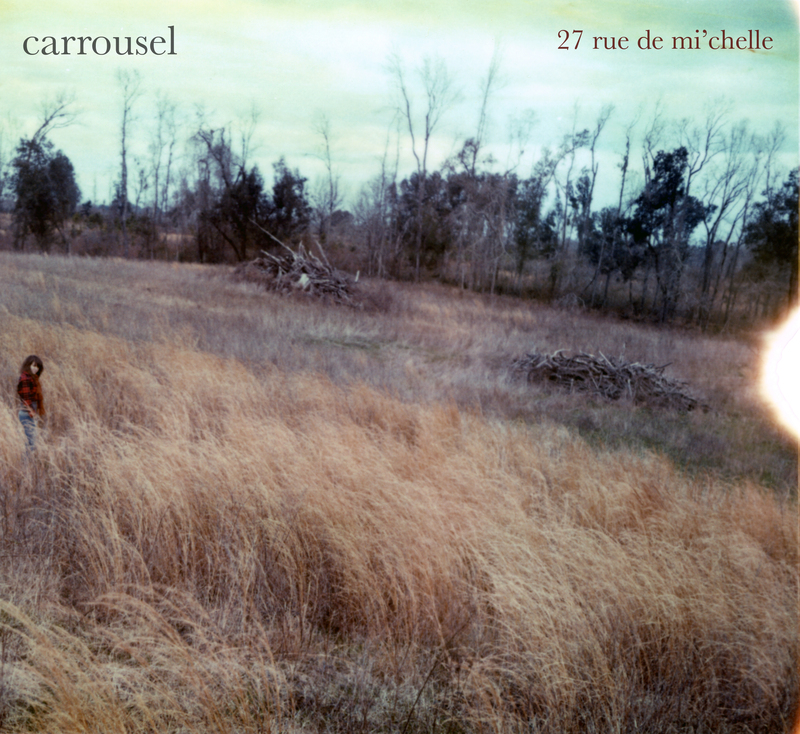 One of my favorite bands of this year, Carrousel, plays melodic, dreamy and dark music. Inspired by the imagery, sounds and ex-pats of Paris, it’s wonderful. The music will grab you immediately. I spoke with singer/songwriter Joel Piedt from his home in Tallahassee. There’s something beautiful about honesty. Amy Steele: I really really like the album. It’s great. I’ve been listening to it for a while. It’s the kind of music I like—melodic and dark. Joel Piedt: Thank you I appreciate you saying that. Amy Steele: So how did the band get together? Joel Piedt: We started accidentally. My friend Brad and I had worked on an album back in the summer of 2007 and it became a solo project. Brad was the engineer. We became really good friends because of that. We always joked how fun it would be if we were in the same city that we start a band one day. I was finishing college at Chattanooga and Brad was transferring to college at FSU [Florida State University]. On a whim I decided to move to Tallahassee. So we spent night and day making a record in the summer of 2009. It was supposed to be a two or three month project but somewhere along the way we got this vision for this album that you now hear. We holed ourselves up in this house for a year and worked really hard on it. It ended up being a two-and-a-half year process. Amy Steele: Why do you think it was such a slow process? Joel Piedt: We stumbled onto the sound. We thought we were on to something and that’s how it all went down. Brad actually left the project and I recruited five friends in Tallahassee to play live. So that’s how it’s shaped up to be. Amy Steele: why did it take two years to put together the songs on the album? Joel Piedt: I think why it took so long was that around that time as well my standards were really changing. Before I was okay with the idea of just popping something out. Both Brad and I became very professionalistic – we were our own worst critics. I would do a vocal take or whatever it was and Brad would want me to do it again. So it became this challenge with these really high standards. We approached every song under a magnifying glass. We knew we had an idea and we wanted to see it through the very best we could. Some of the songs had aged. Some parts we had to re-do. Amy Steele: What’s the music scene like in Florida? Joel Piedt: There’s a very interesting culture in Tallahassee. There’s an interesting arts scene but it’s not as strong as it could be. We have access to FSU which is great. There’s not a huge local band music scene. That discouraged me for a bit but in the end I realize it’s a really great city to do what I do because If I lived in New York on L.A. I’d feel this constant pressure to go out and compete in the music scene and climb up the ladder. I’ve been allowed to relax a little in Tallahassee. Amy Steele: How do you get the attention that you need? How do you develop a fan base? What have been the challenges? Joel Piedt: We’ve done everything backwards. We found our sound in the studio and now we’re playing live. We’re facing those challenges now. We’re building our following with online content. We’re just trying to accrue as much ammunition as possible. I don’t want to put anything out unless I’m 100% confident in it. Amy Steele: With you pulling a James Mercer [The Shins] by recording the album and then bringing musicians in, what’s it like with new people coming in? Joel Piedt: I like the idea of being a James Mercer and The Shins. There’s a collaborative feel as well for the live setting. I love the idea of the name Carrousel because people are getting on and off. It changes up for different projects. There are different sounds and different interpretations. Amy Steele: Are you more interested in doing concept albums? Joel Piedt: Concept albums got kinda worn out in the 70s but I think there’s room for a new kind of concept album. I felt that this album was a short-story or mini-novel. It might not tell a story lyrically, but it does so sonically. Amy Steele: You have several inspirations for this album—one was a break-up. Do you think there’s a novel way to approach that? Joel Piedt: The break-up record has become cliché but I did want to approach it the way that I did. It wasn’t contrived. Those were things I truly did feel and the girl it was about Michelle was staying in France for a while so the whole vibe of the album changed. I was listening to French music and French composers. It felt good for me to describe it from that perspective. I feel good about where it landed. It’s true and artistic and the greatest thing artists can do is tell the truth. There’s something beautiful about honesty. Amy Steele: What inspired you by Ernest Hemingway’s book A Moveable Feast? I love that book. Joel Piedt: Just the vision of Paris in the 20s. It just did something to my imagination. I pictured myself there. I also started going to the symphony at FSU. It all affected me at a deep level. This entry was posted on May 28, 2012, 01:03 and is filed under Interview, Music. You can follow any responses to this entry through RSS 2.0. Both comments and pings are currently closed.